Every year across the United States, Share Our Strength asks people to host bake sales in their communities. These Great American Bake Sales raise funds for after-school and summer feeding programs–food programs that many kids depend on when school is not in session. Share Our Strength is a national organization working to make sure no kid in America grows up hungry. 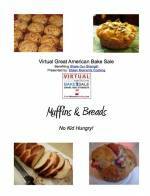 And now I am pleased to welcome you to the first ever blogging community Virtual Great American Bake Sale. 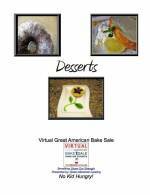 Below you will find a list of Virtual Great American Bake Sale participants. Please stop by their blogs for a sampling of delicious recipes. Feel free to look around, just like you would at an actual bake sale. 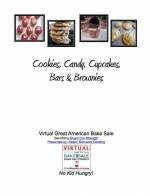 When you are done browsing, I hope you’ll consider purchasing one of the 5 Virtual Great American Bake Sale ebooks. Each participant will have a link to buy the ebooks on their blogs, or you can do that below. 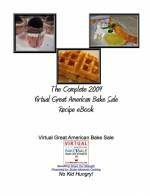 Below are the Virtual Great American Bake Sale recipe ebooks. 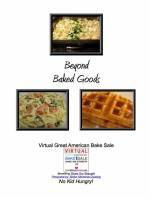 Remember, 100% of the proceeds raised through the selling of the ebooks will go directly to Share Our Strength’s Great American Bake Sale program. All of the ebooks may be purchased for the donation amount of your choosing. Because we know file size may be an issue for some, the below ebooks have split the 170 recipes into 4 categorized ebooks so that you can choose just 1 or 2 of your favorites, if you’d prefer. Just like for the Complete ebook, many of these recipes include pictures. And again, they are available for purchase based on any donation amount of the buyer’s choosing. You are awesome. Good job putting this all together. I’m sure it’s been A LOT of hard work. Thank you so much for all the work you’ve put into this. it’s amazing! Yay VGABS night! I just browsed through my e-book so many yummy things to try. Any idea how well the VGABS did yesterday? How long will the links be up for people to donate? Just wondering how much we managed to raise. I hope it was a good turnout!I enjoyed it. Thanks for helping out with such a FABULOUS cause! We at Family Foodies wanted to help spread the word. Bravo! I’ve found a similar recipe in my favorite cookery book – http://file.sh/huge+collection+of+recipies+torrent.html . I tried to cook it – it takes a little time and is really very delicious! Its really wonderful to see you verbalise from the heart and your clarity on this important subject can be easily observed.It is really great information. Don’t you acknowledge that it’s high time to receive the loan, which can make your dreams come true. My expenses require a shake up and the tips you have uploaded listed here really should aid. excellent stuff. Do you have a RSS feed? And will it be cool if I included your feed to a website of mine? I have a website that draws content through RSS feeds by a couple of websites and I’d like to include yours, the majority of people don’t mind since I link back and everything but I like to get consent 1st. Anyhow let me know if you can, thanks. These Great American Bake Sales raise funds for after-school and summer feeding programs–food programs that many kids depend on when school is not in session. If at all, because you on experience, do you astuteness replacing your web site with a lot more details? It is actually exceedingly useful in search of myself. Good day! I just would like to give a huge thumbs up for the good information you may have right here on this post. I can be coming back to your blog for extra soon. Hello, Magnificent site. Some truly wonderful posts on this site, thank you for contribution. Hmm it seems like your site ate my first comment (it was extremely long) so I guess I’ll just sum it up what I submitted and say, I’m thoroughly enjoying your blog. I as well am an aspiring blog writer but I’m still new to everything. Do you have any suggestions for novice blog writers? I’d definitely appreciate it. excelente material. ¿Usted tiene un feed RSS? Y va a ser genial que incluye su alimentación a un sitio web de la mía? Tengo un sitio web que atrae a contenido a través de RSS por un par de sitios web y me gustaría incluir a los suyos, la mayoría de las personas no les importa ya que vincular de nuevo y todo, pero me gustaría obtener el consentimiento del primero. De todos modos, hágamelo saber si usted puede, gracias. We have a quality local drugstore, having a 7 year marketplace status! You are going to a health club , attempting to develop muscles , however the food you grab is not therefore useful , thus in this way choose the best unique steroids from us . Anabolics coming via http://www.steroids-online.net are usually without having doctor prescribed and is also a secure method of getting huge muscles and in the same time frame to prezerve your wellbeing! Don’t hezitate to get in touch with us if you are seeking inexpensive steroids and an amazing shaped body! ! The best steroids from balkan pharmaceuticals and soon we’ll have from SP pharmaceuticals. Why choose http://www.steroids-online.net? Because we have just original products at affordable prices, safe and fast delivery; for us health, and confidence our clients is the first priority. users thbat they will help, so here it occurs.